Make the most of your trip to New Orleans with The New Orleans Sightseeing Pass. Choose 3 or 5 attractions, museums or tours and visit them at your own pace over a 30-day period. Receive instant delivery, your pass contains a unique code for immediate use. 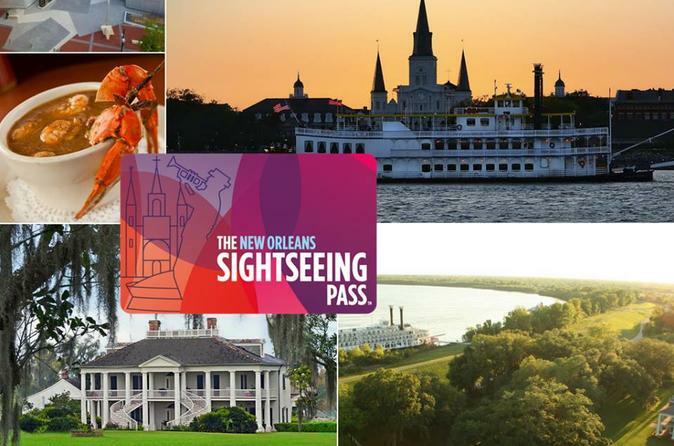 With access to the top New Orleans attractions, museums, tours, restaurants, entertainment and discounts, The New Orleans Sightseeing Pass is the most comprehensive all-inclusive pass in Louisiana. Purchase your Sightseeing Pass online and receive it directly via email. With the Sightseeing Pass, you can visit 3 or 5 attractions during a 30 day period. Simply present your pass at any participating attraction to gain free admission. Please note each attraction can be visited once. Your pass comes with a special guidebook that includes attraction information, hours of operation and more. For a complete run-down of attractions and activities, please see the itinerary details below.